Woody (that’s the name we’ve chosen) got here fine and is acclimating to his new home. He was exhausted after the travel and slept in my lap for more than an hour after I got him home. Below are a couple of pictures of him…one sleeping on my lap after I bathed him (he got a little stinky during the flight) and one with the girls and a friend. Our girls are on the left. They were so surprised and won’t stop buzzing for a few days I think!! We will be taking him to meet his vet tomorrow and she’s looking forward to meeting him! Thank you again for giving us the opportunity to select a puppy on short notice…he’s perfect!! We’ll keep you informed of his progress and send more pictures soon. 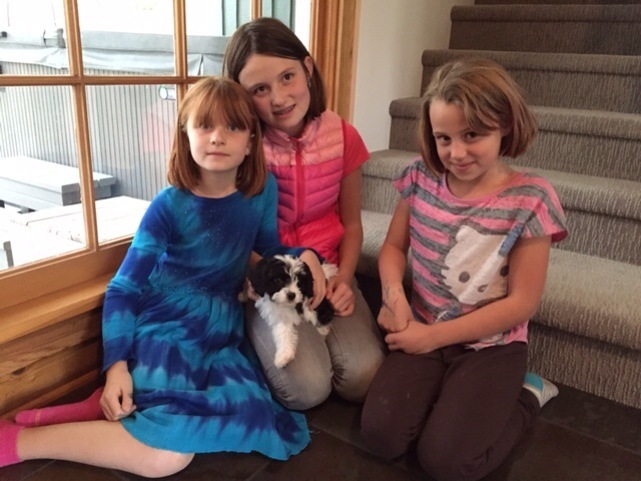 Besides being so very loving and so very intelligent Cavachons are great with children. 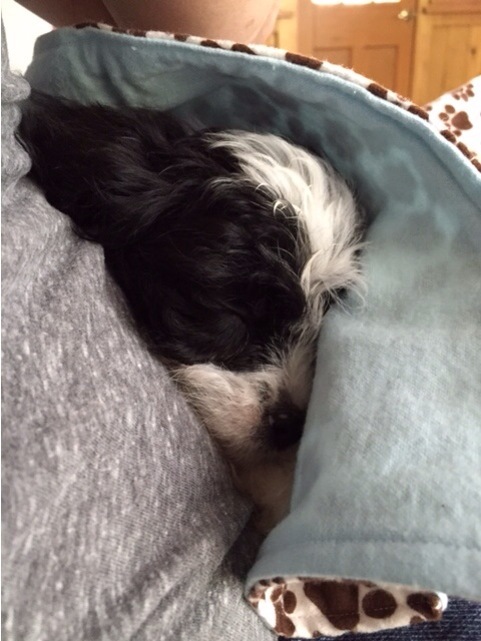 Our cavachon whom we brought home to Mukilteo a month ago this Friday is the most playful little thing on earth! She loves people..young, old, babies! She smothers us with kisses. She has definitely stolen our hearts. Everyone she meets loves her!!! She is so adorable … we lucked out with little bundle of love. Thank you, Christie.